DEVELOP A BETTER TIME FEEL! CLICK HERE TO EMAIL RICK RIGHT NOW FOR MORE INFORMATION....!!!!!!! 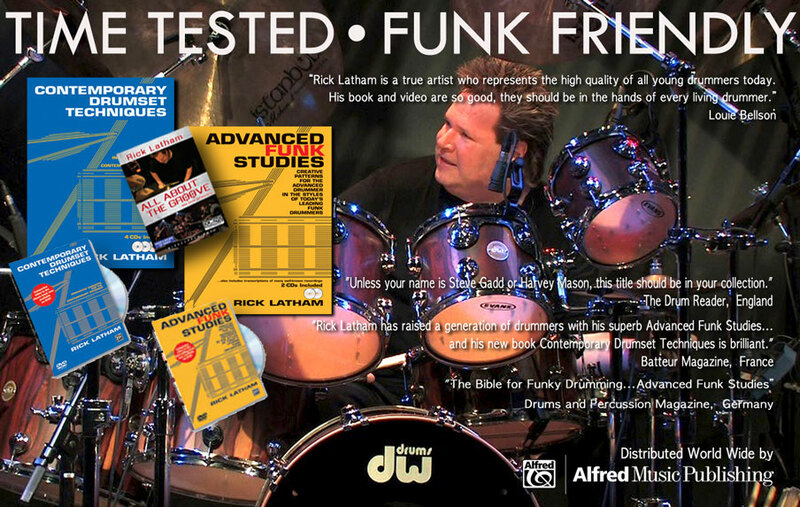 Author of:"ADVANCED FUNK STUDIES" and "CONTEMPORARY DRUMSET TECHNIQUES"